Digital advertising has revolutionized the way of marketing. Other than Email marketing, Mobile Marketing or SMS Marketing has also become one of the most popular and preferred methods to reach target audiences anytime and anywhere. The best part of SMS marketing is that it is much Cost Effective and Faster than other marketing processes. Also, it can be integrated with other online promotional activities for a wider reach. This is the reason why even governments are using them to spread awareness among people. Why you need us for SMS Promotions? SMS Promotions or Mobile Marketing is not just confined to sending bulk SMS. It is far more than that! It hardly takes a couple of seconds to get an SMS delivered, but everything needs to be seen with an eagle’s eye for professional promotions. Here comes the need for Quarter Pie Interactive! 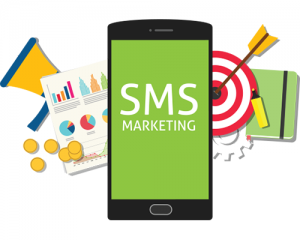 SMS promotions includes a lot of things and tasks to be performed, as there are certain guidelines set by communication ministries of every country. Whether you want to spread your SMSs within your country, a specific region, or want to reach masses settled abroad, these guidelines are mandatory to be followed. Hence a professional and certified SMS Marketing provider, like Quarter Pie Interactive, is required to precede to clean manner. How we can help you with SMS Promotions? Now coming to details of SMS or Mobile Marketing! Whether a client is reaching us for regional SMS marketing campaign or looking out for Foreign Mobile Marketing Campaigns, Quarter Pie Interactive takes every client seriously. We know that growth is the main pillar of every business. Hence, we make it to give our 100%, as your growth is our growth. Your SMSs would be delivered to those who have subscribed to your services via email. Integrating SMS marketing with your email marketing campaign will boost your overall marketing effectiveness and engagement. Mobile text marketing provides a variety of integration possibilities. You can easily integrate SMS or mobile marketing with other marketing methods, track recipients activities and obtain accurate reporting data as well. At Quarter Pie Interactive, you aren’t alone in creating an amazing text message marketing campaign. We are here with a free, round the clock support for you. Feel free to contact us in case you have any query regarding SMS or Mobile Marketing and Promotions.